Above: Vintage Jacket turned dress, Leather baseball hat find one similar here, Vintage Jewelry and Dannijo Jewelry mixed. Above: Vintage Cardigan from ScoutLA, DIY assymetric lace skirt, Alexander Wang Cropped T, Vintage Jewelry. Above: Zara croc tee, Current Elliot Shredded Jeans, Margiela Booties, Vintage Necklaces and Rings. Rad outfits !! Love them all. Those shredded jeans are amazing.. and that leather baseball cap is so cool. can't get enough of your white party. looking amazing as always and as always you've inspired me to take my neck party to the next level. Can you keep posting please?! Love ur jewels! 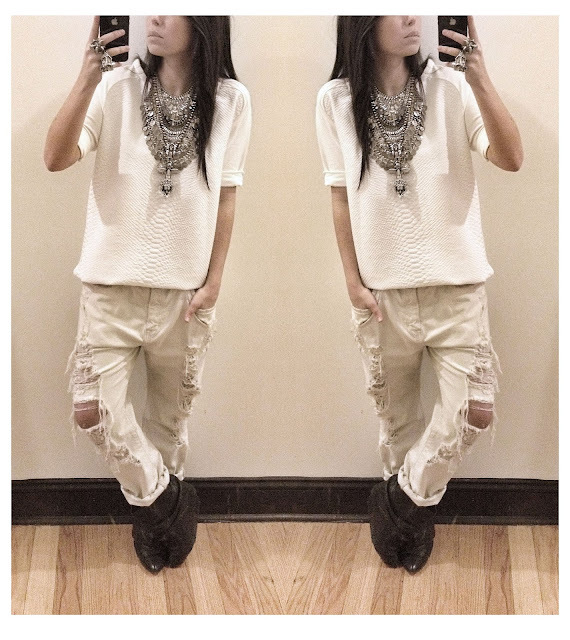 I am so into this type of look: white/beige, laid-back, with great accessories. 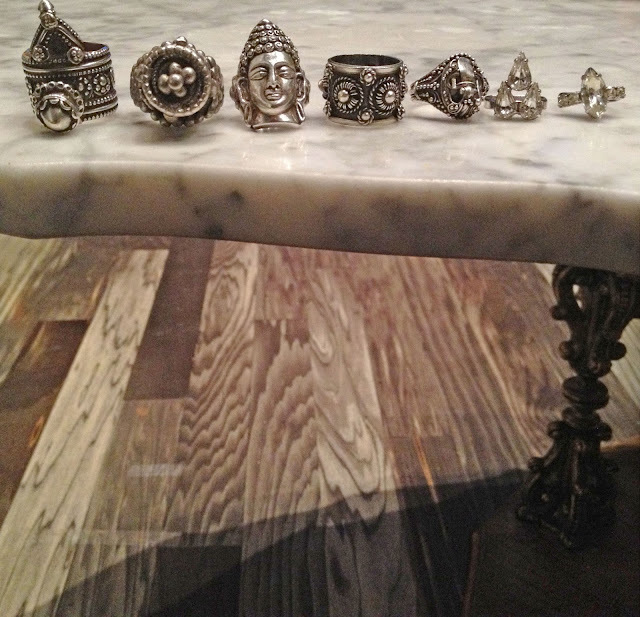 Seriously love your jewelry, do you sell it, we'd love to buy a piece to style on our site- glitterary.com ? Let us know what you think, we would totally seek to honor your brand and bring you publicity! Your outfits are just another level, perfectly layered and matched I could watch them over and over again! Hey girl, I am from Socialbliss and wanted to let you know that I will be spotting some of your photos. You have amazing taste!!! Come visit to see your spots! And your necklace are beautiful too.